This Monday, July 9, I am joining the Senate Majority Policy Committee for a hearing at Wind Gap Middle School to discuss the Commonwealth’s clean fill and regulated fill environmental standards. The hearing will take place at 10 a.m. at Wind Gap Middle School (1620 Teels Road, Pen Argyl, PA). Members of the public are welcome to attend. I share the public’s concerns over the volume of fill activity occurring in the Northeast region of Pennsylvania and its potential environmental impact. This hearing will fully evaluate the Commonwealth’s environmental standards and ensure our residents are protected. Testimony will be shared from the PA DEP, local municipal leaders, area residents, business leaders and industry representatives. 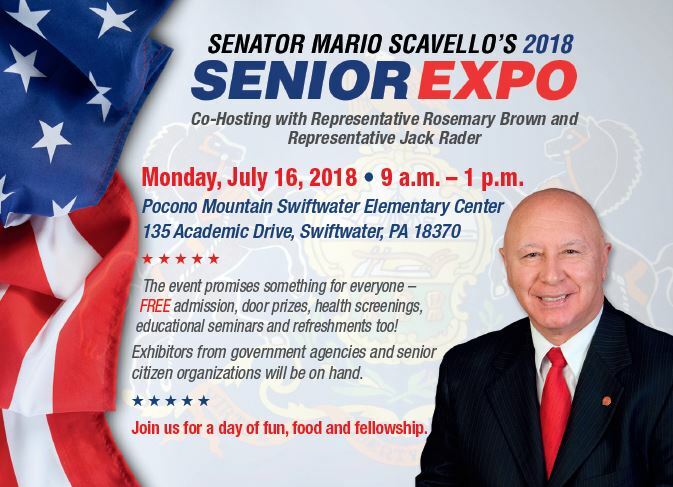 I invite you to join me at my annual Senior Expo on Monday, July 16 at Pocono Mountain Swiftwater Elementary Center (135 Academic Drive, Swiftwater, PA) from 9 a.m. to 1 p.m.
Free admission, door prizes, health screenings, educational seminars, and refreshments will be provided. Exhibitors from government agencies and senior citizen organizations will be on hand to provide assistance on many issues. I hope to see you there! On Wednesday, July 18 I am co-hosting “The First Step Seminar” with the Lehigh University Small Business Development Center for those interested in learning how to start a business. The seminar will take place from 11 a.m. to 1 p.m. at the Slate Belt YMCA (315 W. Pennsylvania Avenue, Pen Argyl). Topics covered include the requirements for starting a business, obtaining financing, developing a business plan and more. This is a free seminar, but registration is required. To RSVP your attendance, please visit https://pasbdc.ecenterdirect.com/events/25068. 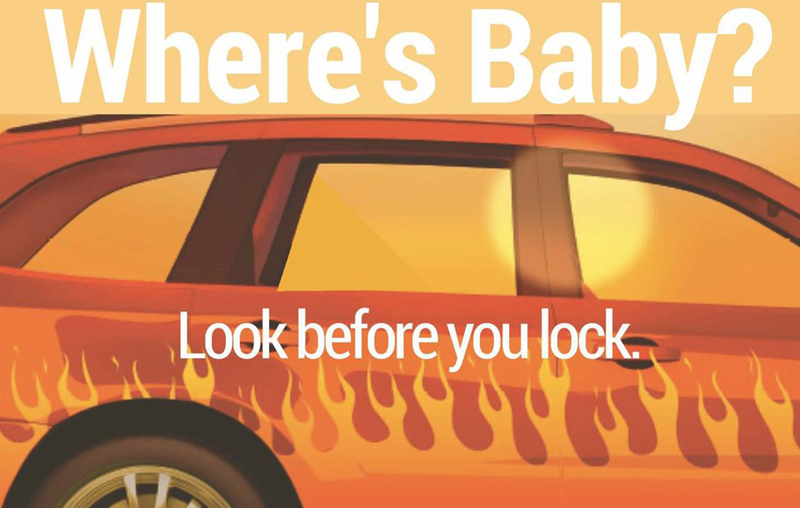 The best way for parents to avoid leaving children in a hot car is Look Before You Lock – always check the back seat of your vehicle before walking away. Car temperatures can rise more than 20 degrees in 10 minutes and death occurs when a child’s body temperature reaches 107. Tip: Keep a stuffed animal or other memento in your child’s car seat when it’s empty, and move it to the front seat as a visual reminder when your child is in the back seat. More information and tips here. 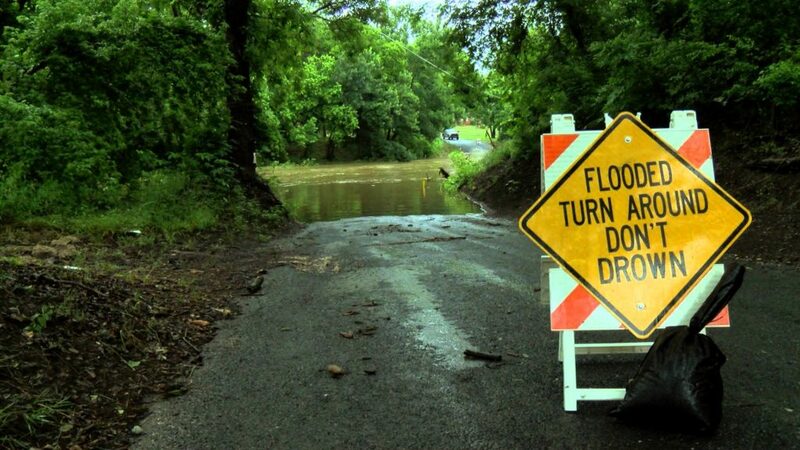 Flooding is the most common natural disaster in Pennsylvania, and ignoring flood warning signs to “Turn Around, Don’t Drown” is dangerous and illegal. Two feet of rushing water can carry away vehicles, including SUVs and pickups. Six inches of water can cause loss of control and stalling. If your vehicle stalls, abandon it immediately and seek higher ground. More information and tips here. Keep Pennsylvania Beautiful is accepting applications until July 31 for their 2018 Fresh Paint Days Pennsylvania, a program designed to provide community groups with paint and painting supplies enabling them to renew a community structure in need through the application of fresh paint. Eight grants of up to 20 gallons of exterior paint and a gift card for painting supplies will be awarded to tax-exempt groups within the Commonwealth of Pennsylvania. If you still have some open dates in your summer vacation schedule, Pennsylvania has plenty of art museums, outdoor recreational opportunities, historical sites and shopping destinations. VisitPA can help you find things to do, places to stay, trip ideas, deals and more. It’s the official tourism website of the Commonwealth of Pennsylvania. 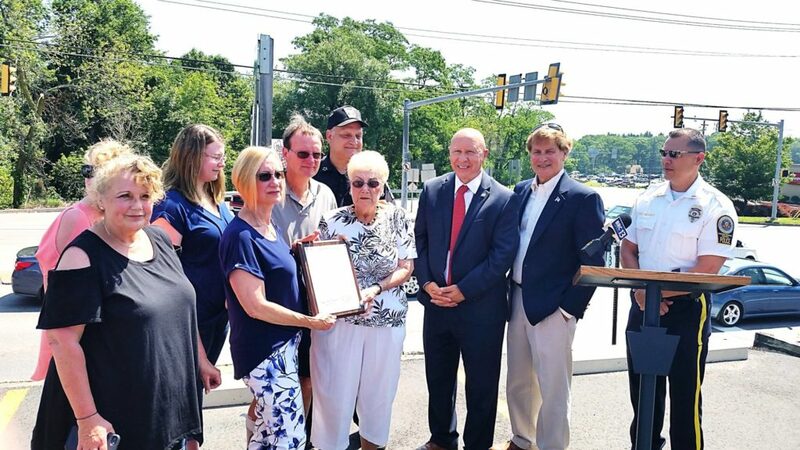 This week we dedicated the Five Points Intersection in Mount Pocono as the Roy Gross Memorial Highway. Roy dedicated more than 50 years of service to Mount Pocono Borough, including 34 years on the council, 23 years on the Police Commission and chairman of the Mount Pocono Municipal Authority. Roy was a lifelong resident of Monroe County and loving husband to his wife, Ruth, with whom he shared 62 years of marriage. 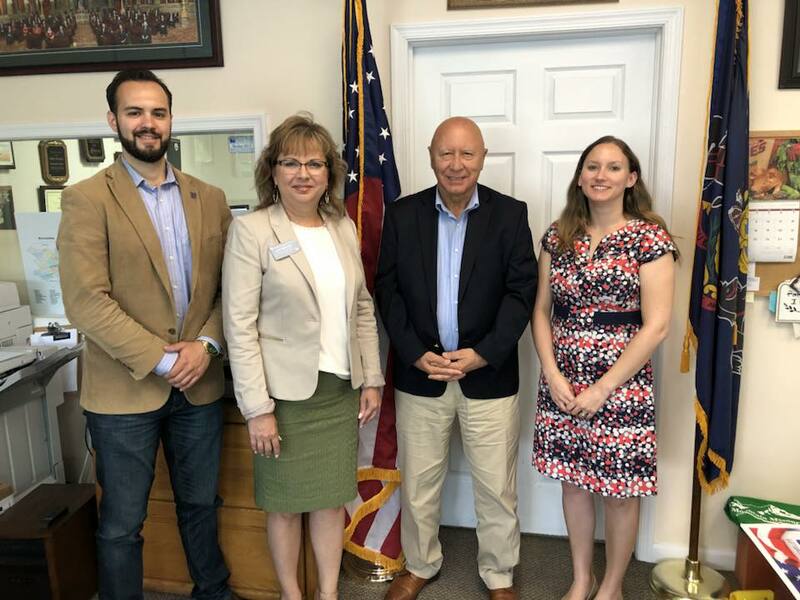 I had a productive meeting this week with the Pocono Mountains Association of Realtors® as we discussed various issues affecting homeowners and the real estate industry, including proposed legislation to establish First-Time Homebuyer Savings Accounts. Thank you for all you do to help safeguard homeowners and renters while preserving the American Dream of owning a home! This Sunday, July 8, East Stroudsburg University will host the Willy & Woody comedian/ventriloquist show to benefit the Youth Star organization. The show begins at 6:30 p.m. in the JM & ME Beers Lecture Hall, 130 University Circle East, East Stroudsburg. Tickets are $10.